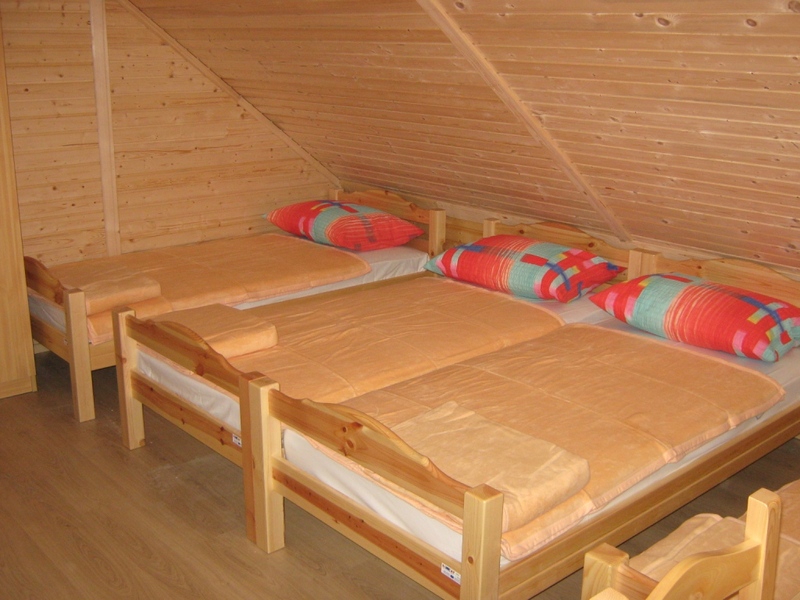 Mountain hut Zelenica is open everyday in summer season from 01.06. to 30.9. Winter season from 01.10. to 31.5. opening hours are limited for weekends and Slovenian holidays. Planinski dom na Zelenici can be open also during the week for bigger groups of guest. Hut disposes with 70 beds (1 x 2 beds room, 1 x 3 beds room, 1 x 4 beds room, 3 x 5 beds rooms, 2 x 8 beds rooms, 1 x 10 beds room). 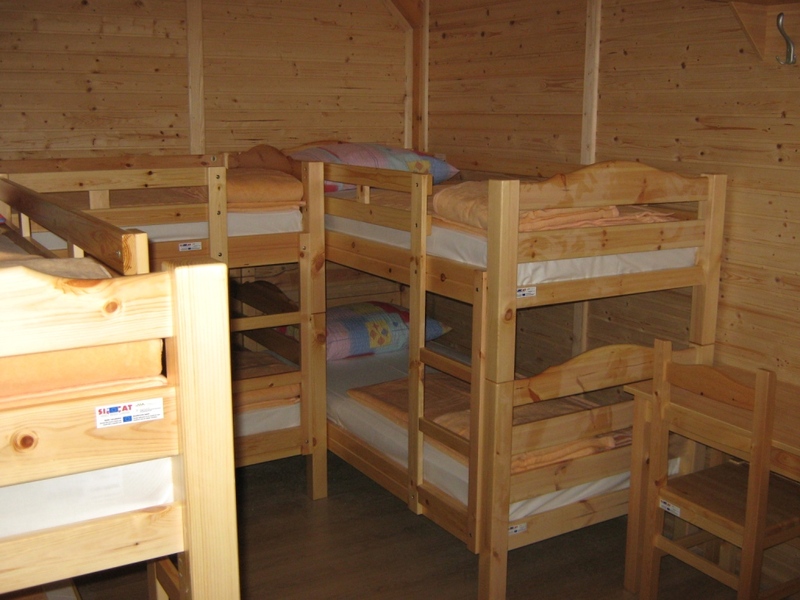 We can also provide additional beds. Dining hall has 70 seats. Lecture room has 35 seats. Free wi-fi connection is available for all our guest. Mountain hut Zelenica is located in Zelenica Saddle between mountain ridge Na Možeh on the border with Austria on the north and north side of mountain Begunjščica on the south. We recommend access to the hut from Ljubelj – main road from Tržič to Ljubelj 12 Km, and from Ljubelj to Zelenica hike up 1 h 15 min on easy mountain path. There is also possible access by the local road from Most pri Žirovnici in the valley of Završnica to Tinčkova Lovska hut 8 Km and then hike up over Smokuška planina 1 h 45 min. Zelenica hut is located on the small plain of Zelenica saddle between mountain ridge Na Možeh on the border with Austria on the north and north side of mountain ridge Begunjščica on the south. First hut was built in 1929 by five private persons, but they had no intention to rent it to the Tržič Subsidiary of Slovenian Alpine Club. During the WW2 the hut was burnt. In 1950 the hut was built again by the workers of Police School from Begunje. On December 15th 1952, Planinsko društvo Tržič (Alpine Club from Tržič) rented unfinished hut and in 1953 they built it and prepared for provisional use. In 1962 Planinsko društvo Tržič got the hut in permanent possession by the Agreement between Slovenian Police and Alpine Association of Slovenia. Hut was then finished and equipped, and inaugurate on December 19th in the year of 1966. In 1992 there was built a penthouse above the entrance and we got a lecture room. In 1999 the Mountain Hut Zelenica was burnt again. Planinsko društvo Tržič had renovated it and built again and the hut is open again from 2011. 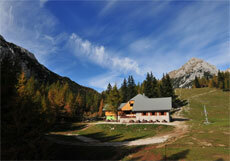 Zelenica hut has also Mountaineering Education Centre, which is managing by Mr. Stanko Koblar, mobile: ++386 40 627 808. There is no such point in the closer surroundings for the good outlook, because of the mountain ridges around the Zelenica Saddle. But this very surrounding is very beautiful and convenient for short hiking. There is a beautiful outlook from the former upper station of chairlift to stone plateau between Ljubeljščica ridge on the north and north slopes of Begunjščica on the south side of the plateau. On the plateau was located chairlift and goes along to Šentanska dolina (valley of St. Ana). Above Šentanska dolina is on the east the west part of Košuta range, on the south side of the valley are the north slopes of Begunjščica, on the west side is Zelenica valley, above it is Mt. Srednji vrh, which conceals the view to Mt. Stol; on the northwest side is Mt. Vrtača and Na Možeh ridge on the north. If we climb up to the ridge we will see beautiful country side of Carinthia up to Drava River.